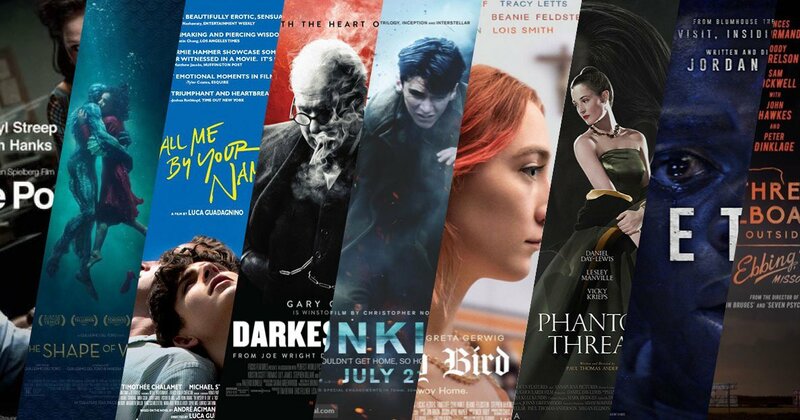 A little statistic for you: when you take my rating of all Best Picture nominees from the past three years (when I've been ardently following the award season), 2018's selection receive an average rating of 4.3/5, comparing favourably to 2017's 4.2/5 and blowing 2016's 3.4/5 out of the water. In other words, it's an unbelievably strong crop and possibly my favourite yet. It makes ranking the films in contention incredibly difficult: my top three have shifted positions on a daily basis, while trying to rank Get Out, Lady Bird and Phantom Thread has led to sleepless nights. For once, almost every contender (bar two, more on those in a sec) are deserving of their position in such a prestigious line-up. What a time to be alive. Call Me By Your Name, Darkest Hour, Dunkirk, Get Out, Lady Bird, Phantom Thread, The Post, The Shape of Water and Three Billboards Outside Ebbing, Missouri go head-to-head on Sunday 4th March in the hopes of walking away with the Best Picture Oscar -- but how does my ballot look? Below is my definitive (as it stands) ranking of the nine contenders. Be sure to share your ranking, and vote in my Best Picture experiment (which you can read more about here). There's always one, isn't there? 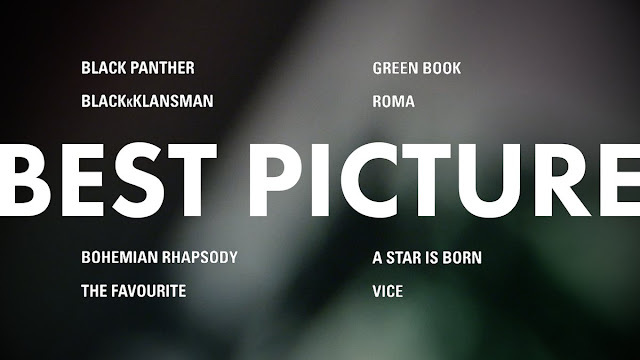 It wouldn't be a proper Best Picture race without a completely unqualified nominee sneaking into the prestigious line-up having stolen the place of one of the far more deserving and competent films in contention. Joe Wright's Darkest Hour takes that dishonour this year. Manipulative and misguided, the Churchill-biopic has very little to boast about outside of Gary Oldman's transformative turn, a performance that didn't work all that well for me. An embarrassing, desperate plea for an Oscar for its leading man, Darkest Hour is a disappointing exercise in style over substance -- one that the Academy has fallen hook, line and sinker for. Its focus on the political over the personal dilutes the emotional stakes and the increasingly loud, shouty performance becomes increasingly irritating, marred even further by a melodramatic screenplay and cringeworthy, forced patriotic tone. Darkest Hour has soured even more with distance and is the only stinker among this year's crop of nominees. Good but not as great as you had hoped, The Post is a solid but by-the-numbers film that cannot fulfil the promise of a collaboration between Hollywood greats Steven Spielberg, Meryl Streep and Tom Hanks. No thanks to a horribly unfocused and scattershot first half, The Post begins on unsteady footing and while it does recover with a palpable and intense piece of filmmaking in the latter half, it's not enough to find itself higher up on the list -- or worthy of a spot in the line-up at all. Great performance all-round with some sturdy work from Speilberg particularly in the second half, this is fine filmmaking that just falls slightly short of greatness. Timely and necessary if slightly rushed, The Post is slightly too rough-around-the-edges to take headline-grabbing plaudits. Putting a film as utterly wonderful and brilliant as Greta Gerwig's Lady Bird in seventh place out of nine is an utter travesty, but it is an absolute testament to what a strong line-up this Best Picture field is. Led so magnificently by Saoirse Ronan and Laurie Metcalf and in thanks to Gerwig's fantastic screenplay and assured direction in her first solo directorial outing, Lady Bird is a coming-of-age story as poignant as it is powerful, provoking tears of the happy and sad variety. Maybe its simplicity has left it further down the list but it may very likely rise with a repeat watch (those above it have been afforded multiple viewings but the release has been fairly limited and late in the UK). Lady Bird flies high and while it's not at the top of this list, will find itself marked high on many Year End lists - including mine. Phantom Thread is an alluring and transfixing masterclass that hasn't left my mind since my first watch last month. A thing of ravishing beauty, with a darkness and toxicity at its core that makes for a compelling experience, Phantom Thread is difficult to define and hard to categorise beyond it being phenomenal filmmaking. Paul Thomas Anderson's gorgeous slice of melodrama is led exquisitely by Daniel Day-Lewis, in what is rumoured to be his final ever performance, and a faultless Vicky Krieps, alongside a scene-stealing supporting turn from Lesley Manville. As well as the performances, the artful direction, the narrative's twists and turns and Jonny Greenwood's extraordinarily immersive soundtrack, Phantom Thread is a difficult film to shake, talent oozing from this behind and in front of the camera. Get Out has the success story to end all success stories; its nomination for Best Picture alone, in a genre almost always ignored by voters, cements its status as one of the finest horrors of all-time and one of the most accomplished directorial debuts in modern cinema history. Thrilling, shocking and subversive, Get Out is a razor-sharp, smart social satire that infuse a number of genres and tones to great effect. Jordan's slick original screenplay - the strongest in contention this year - is political without being overtly so and his direction is bold and skilful, all anchored tremendously by a career-boosting, Oscar-nominated performance from Daniel Kaluuya. A contemporary classic in the making, the boundary-defying Get Out wholly deserves its place in the Oscar line-up -- in a weaker year, it could even top my list. Three Billboards Outside Ebbing, Missouri, for all the controversy it has stirred, is a barn-burner of a film. A personal exploration of grief and a wider rumination on the problems and prejudice embedded in society at the same time, McDonagh's assured feature-length tows the line and crafts an effective, dark cynical and timely story with political implications seen the world over. Frances McDormand's explosive lead performance stokes a fire that remains burning from start to end, bolstered by two fine supporting performances by Sam Rockwell and Woody Harrelson. McDonagh's solid direction and script, as well as Carter Burwell's effective score, provide an emotionally-complex story that you will keep going back to. It has been incredibly difficult splitting the top three films and I would be overjoyed to see any of them take the top accolade at the weekend. The Shape of Water, I'm already comfortable to say, is a masterpiece and the very reason we go to the cinema. Extraordinarily immersive and completely enhancing, this wondrous tale boasts a bold and creative vision, helmed and executed magnificently by a master writer-director at the top of his game. Sally Hawkins gives a performance of the ages in a wordless but endlessly-emotional and affecting role, supported by a wonderful cast including Octavia Spencers, Richard Jenkins, Michael Shannon and Michael Stuhlbarg. The Shape of Water is truly glorious filmmaking, an enduring cinematic accomplishment that will be remembered and celebrated for years to come, Best Picture award or not. A masterclass in tension, Christopher Nolan's Magnus opus Dunkirk is a film of extraordinary control, balance, skill and power, a cinematic experience that must be seen and experienced to be believed. Demonstrating just how smart blockbuster filmmaking can and should be, Dunkirk is a structurally clever, thematically-stirring and expertly-rendered piece of cinema that will go down as one of Nolan's best, in a career bursting with fantastic films. Hans Zimmer's soundtrack is one of the year's absolute best, with an ensemble that fires on every cylinder and with Nolan's assured direction, expertly-woven tryptic structure and sharp editing, Dunkirk is a nerve-shattering film, emotional and stirring in every second. Call Me By Your Name truly took my breath away, achieving - nay, exceeding - the hype that preceded it. This is a film I will revisit time and time again, in the hope of experiencing the level of beauty and power every time installed within my first three viewings. It is a sensually-indulgent, heart-pounding, sun-kissed future classic, picture-postcard beauty and all. 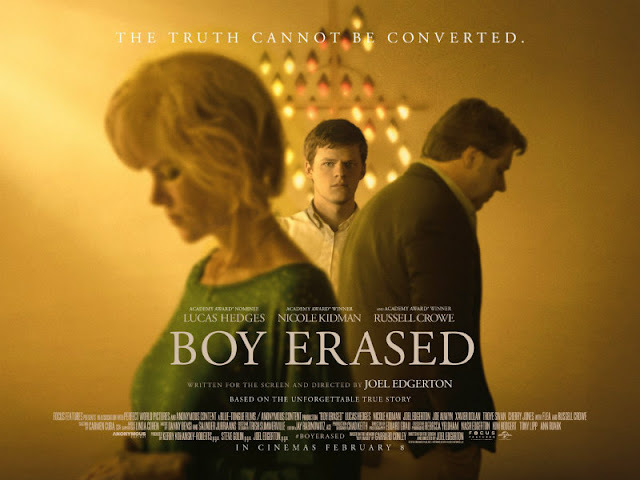 Exquisitely exploring its plethora of gorgeous themes through a fantastic, no-fuss screenplay, it is enhanced emotionally by Sufjan Stevens' gorgeous soundtrack featuring the extraordinary Visions of Gideon and Mystery of Love. Timothee Chalamet marks himself as the greatest up-and-coming talent Hollywood has to offer and with his performance here as Elio, he is skilled beyond his years, responsible for my all-time favourite film credit sequence streaming with emotion and humanity. Bolstering the film further is wonderful supporting performances from Armie Hammer, Michael Stuhlbarg and an overlooked Amira Casar, all as impressive as the next. Controlled by the masterful, confident Guadagnino, Call Me By Your Name is a triumph, plain and simple; it transcends genre conventions with a tender and delicate rumination on first love and discovery, a masterpiece that deserves to walk away with 2018's Academy Award for Best Motion Picture (and Best Actor, Adapted Screenplay and Original Song). And that is that! Be sure to check back in the coming days to see my predictions for the ceremony -- and remember to vote and rank your contenders here.